The restored historic launch Merin is on display at Bowen&apos;s Wharf in Newport until May 6, when it will be auctioned off at Oliver Hazard Perry Rhode Island&apos;s annual fundraiser. Bids for the launch will start at $20,000 and all proceeds from the auction will go toward the construction of Rhode Island&apos;s Education at Sea tall ship SSV Oliver Hazard Perry. 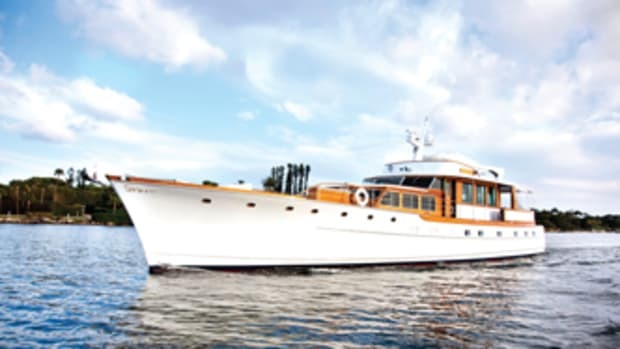 Built by Bath Iron Works in 1931, Merin served as one of the launches to tend to Rhode Island Senator Jesse Metcalf&apos;s private motoryacht Felicia. During the early years of World War II, the launch was used as a coastal Picket Boat and, in 1943, it served as a training ship for Naval Cadets enrolled at Harvard. Merin is complete with an oak frame, cedar planks and teak trim. 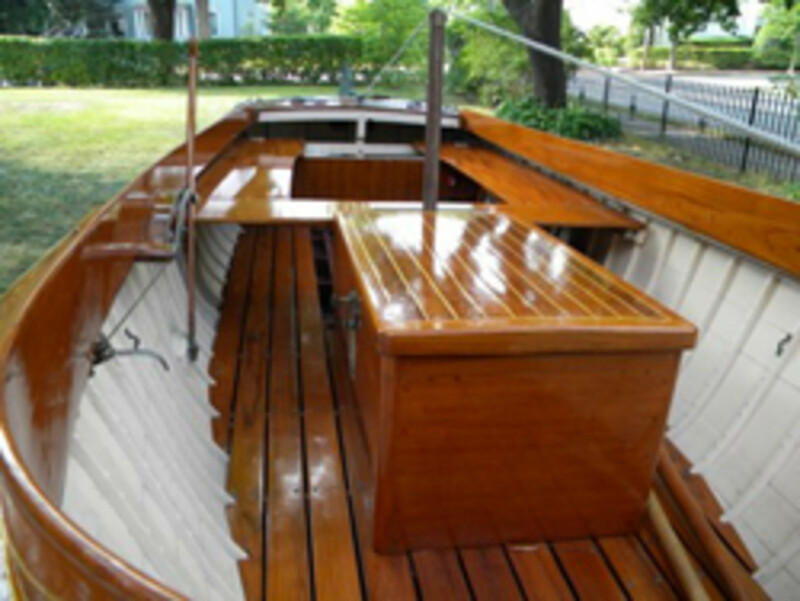 The last restoration was completed by Pendelton Yacht Yard in 2006, during which a new engine was installed, along with other improvements. Starting bid is $20,000 for the 15-foot vessel with five-foot beam and eight-foot draft. For information or to place a bid, call Block Island Maritime Funding at 401-741-5875. For information on the "Building the Ship" reception and auction, call the Oliver Hazard Perry Rhode Island office at 401-841-0080.